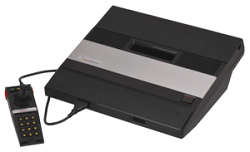 After playing a vast majority of the Atari 5200 library, we felt that it is time to call it quits on this system. We had plenty of memories playing this system, but we weren’t about to just stop playing this system altogether and forget it. We wanted to give this system a final send off by showcasing what we felt were the top 10 games ever released on this system. This is the second list we’ve made. Previously, we wrote what we felt were the top 10 Atari 7800 games. Like the Atari 7800, we knew very little about this system. Of the few games we heard of, our only experiences were games that were later ported over to later produced systems. As a result, every game we played was ultimately a new experience. One advantage this system has over it’s next generation counterpart is the library. Many Atari fans will likely agree that it is far easier to find decent games on this system’s library than on the 7800 one. What’s more, for us, is that this is the first system we reviewed so thoroughly that predates the famous Nintendo Entertainment System (NES). So, competition to this system was vastly different than what was found on the 7800. We had a number of highs and lows playing this systems library, but the important thing is that we enjoyed it. I have no regrets giving this system a try in part because it really opened my eyes to what gaming was like before 1985. to be honest, it isn’t that bad at all. We learned a lot along the way and we hope you were able to learn a few things too as we toured the systems library. Now that this experience is over, we decided to compile a list of what we felt were the best games on the system. We’ve included the publication dates for each review as well. So, here it is: the top 10 best Atari 5200 games of all time!